The Dallas Stars and forward Tyler Seguin had "significant discussions" regarding an extension over the weekend, according to Sean Shapiro of The Athletic. 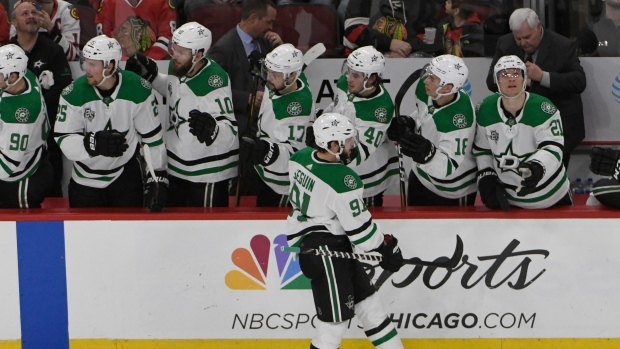 Stars and Seguin camp had more significant discussions this past weekend about a potential extension according to a source. The 26-year-old scored 40 goals and added 38 assists over 82 games in 2017-18, his fifth season in Dallas. Seguin was picked second overall by the Boston Bruins in the first round of the 2010 NHL Entry Draft. In July 2013, Seguin was traded from the Bruins with Ryan Button and Rich Peverley to the Stars for Reilly Smith, Joe Morrow, Matt Fraser and Loui Eriksson. The Brampton, Ont., native has recorded 229 goals and 276 assists in 590 career games. Seguin in entering the final year of a six-year contract worth $34.5 million.